Whether your truck or trailer requires major repairs or is due for maintenance checks, T & L Truck Repair Inc of Wilmington, NC is qualified to handle it all! 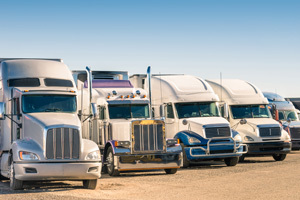 All our technicians here at T & L Truck Repair Inc of Wilmington, NC are highly experienced and trained and know exactly how to address all truck & trailer repairs and services that you will need. Not only does this ensure your truck & trailer are repaired correctly the first time, but it also helps keep your truck & trailer on the road as long as possible. So, if your truck is giving you any trouble or requires major repairs, call us or set up an appointment online. You can also contact us if you have any general questions about your truck. We are here to help our customers in any way we can. Your One-Stop Source For The Best Truck & Trailer Repair Services and Maintenance in Wilmington. Here at T & L Truck Repair Inc, we are committed to providing exceptional mobile truck and trailer repair at reasonable rates to our valued customers.